After a 10-0 start to his career and a top-20 ranking in all three major polls, Tom Herman is clearly one of the hottest names on the coaching market. You know this, he knows this, programs with head coaching openings know this, and Herman’s bosses at Houston know this. That wasn’t the U of H board giving a final stamp of approval on a contract both sides agreed to months ago – the type of news you usually see in this situation – but the board approving Cougars AD Hunter Yuracheck to offer Herman a $3 million salary, a figure that would outpace the next highest-paid Group of Five coach by $700,000 as well as the (publicly available) salaries for all but two Pac-12 coaches. The two sides have yet to negotiate a new contract. Herman currently makes $1.35 million – already a record salary for a Houston coach. Herman has said he won’t discuss any new contracts – at Houston or elsewhere – until after the season. 1. If Herman leaves, it allows Houston’s administration to tell its fans it they did everything under their power to keep him. 2. If Herman leaves, it tells other coaches Houston is serious about fronting a top-flight football program. 3. It forces Herman to put his cards on the proverbial table. 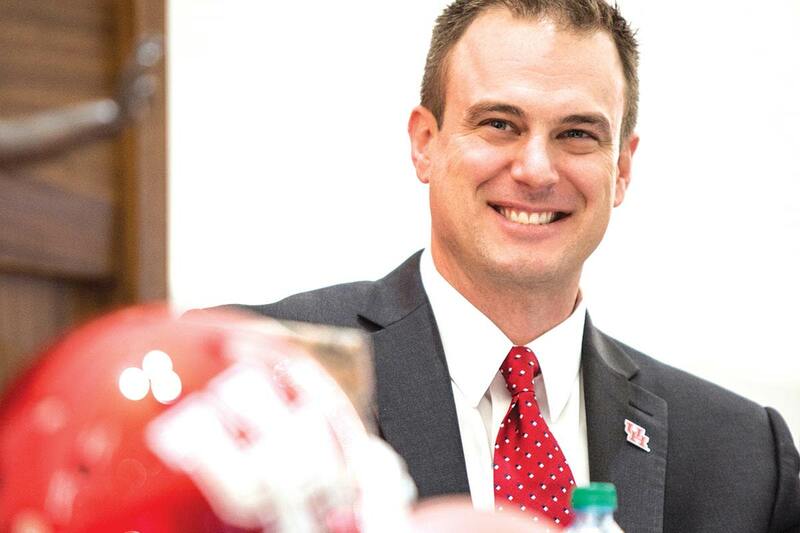 Herman could say, essentially, “Thank you for giving me my first opportunity as a head coach; but” and walk for another job – as some in college football believe he will do. He could sign the deal, paying off the lip service he (and every other first-year coach) sells about building a program. Or he could decline the offer and wait out the one job he truly wants – Texas. The key to the new offer will be the buyout. Herman’s original contract calls for a $2.25 million buyout through the 2017 season, according to the Houston Chronicle. As Houston works to increase Herman’s salary by nearly 250 percent of his original deal, it’s a safe bet the buyout will follow. Houston has shown Herman all the faith they can. If Herman were to leave for his dream job, no one could fault him. Anything else, clearly, U of H would have an issue with. So, where does Herman go from here? Obviously, he could leave. But if he loves Houston as much as he says he does, perhaps he and his agent could work on a new deal with the Cougars that will pay him handsomely and make his commitment to the school commensurate with the school’s commitment to him with a built-in caveat for one school – the University of Texas. That, however, could create a sticky wicket on Houston’s end. Anyone the slightest bit familiar with U of H’s relationship with Texas knows it’s not a friendly one on either side. But there’s give and take on both sides of every negotiation. The question Houston would have to ask itself should this situation arise: How badly do we really want to keep Tom Herman?